Have you ever heard of the saying “God doesn’t call the qualified, he qualifies the called?” This is what I’m reminded of when I read the Gospel today. Most of my life when God’s gentle peaceful call has tugged at my heart my response tends to be a barrage of negative statements. “I’m not holy enough for this call. I’m not worthy enough. There are others better qualified.” Yet today, Jesus reminds us that all are welcome at God’s table, especially us sinners. Not only are we welcomed but we are called to follow. The conversion of heart and faith that Levi must have had in Jesus to drop everything, invite Him into his home and prepare a banquet for Him and his other friends still astound me. If I imagine myself in Levi’s shoes, I would hesitate holding on to my “not good enough” baggage and ask Jesus if he meant to call someone else because surely it couldn’t be me. And yet each time I do this, Jesus looks at me gently with kind eyes and continues to ask me to follow Him. No judgment of my hesitation. No need for a huge dropping of everything. He simply waits for me to loosen up of my grip of my suitcase of “not good enough baggage.” This gradual letting go of my self-preoccupations helps me recognize that while I am a sinner, I am also called to join in the banquet. Although I am not as righteous as I would like to be, I am called to participate in God’s dream for my life. This mercy and patient waiting reminds me that I am loved in a way that allows me to slowly trust in God’s call more than my own inadequacies. This trust and willingness to follow God allows grace to transform me for whatever He asks of me. 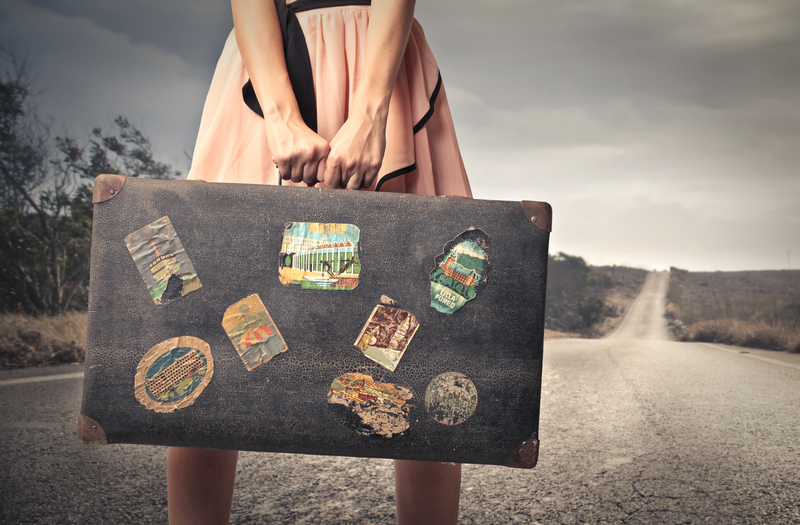 What baggage might you be holding onto as Jesus calls you to follow Him? How does God invite you to participate in God’s dream for your life?